Blend all ingredients with one cup of ice. Garnish with coconut flakes, cinnamon or cacao nibs if you are feeling fancy! While I generally recommend that my clients eat nutrient-dense, whole foods, rather than drinkable meals, like smoothies or green juices, smoothies are a favorite of many of my clients as a fast and convenient way to get in nutrients and energy. I agree so long as the smoothie contains the right balance of ingredients to be as nourishing as a proper meal. I often make them as an afternoon snack and I tend to crave them more in the morning during the warmer months. Smoothies can be rough for blood sugar balance if you don’t build them appropriately. It’s important to limit higher sugar fruits and include plenty of quality fats, protein and fiber to keep you satiated until your next meal. Because a smoothie is essentially a bunch of foods blended together, is important that you chew it. While blending does make it easier on the digestive system, your body won’t digest it properly without the initiation of the digestive process. 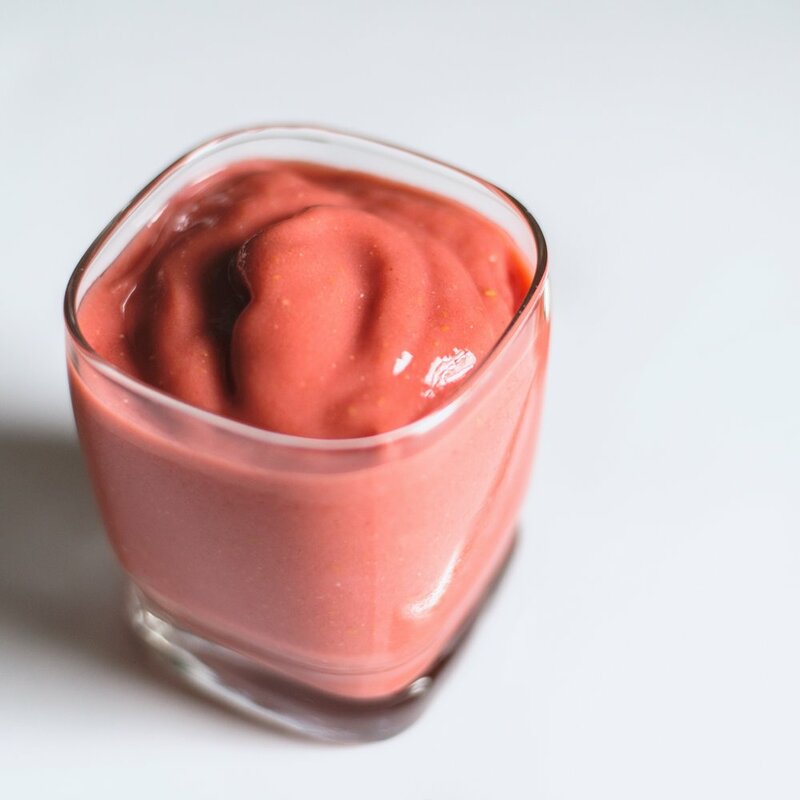 When consuming the smoothie, swish it around your mouth before swallowing it in order to get your digestive juices flowing. You can even try adding a crunchy ingredient as a garnish on the top and eating it with a spoon! Drinking your smoothie at room temperature rather than ice cold is also easier on digestion and can keep you from getting a brain freeze too. Below are my favorites for each of the components. Some ingredients may overlap in multiple categories. Extras – These are not mandatory by any means, but adding spices, adaptogens, and superfoods can add nutrition and boost your energy, immunity, reduce inflammation, balance hormones.